Hey guys! 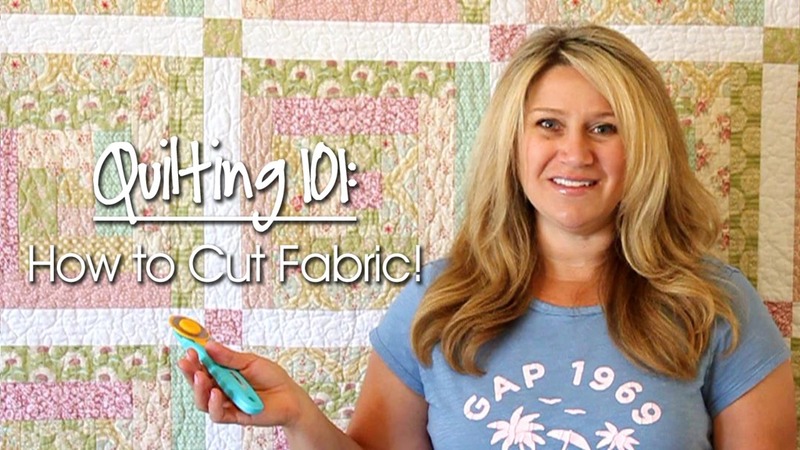 I’m back with another fun video in my Quilting 101 series. I hope you enjoyed last week’s video where we learned all about fabric. And today I’m going to show you my methods for cutting up all of that pretty fabric! Cutting accurate pieces is one of the first steps to creating a beautiful quilt, so let’s get started. For today’s video you’ll want to get out your self-healing cutting mat, a clear acrylic ruler, a rotary trimmer, and some fabric. 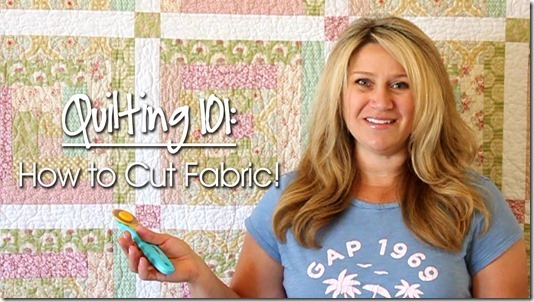 Watch Quilting 101: How to Cut Fabric here! I hope you enjoyed today’s video keep reading for lots of great quilty links! And don’t forget to follow Fat Quarter Shop’s social media to keep up with all of their fun projects! Now for the fun part! Fat Quarter Shop has generously offered to sponsor today’s giveaway. 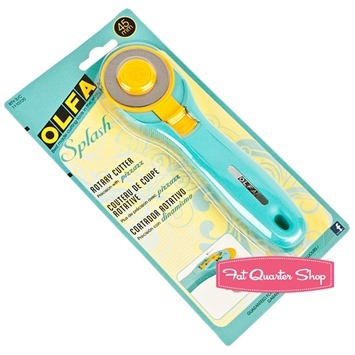 We’re giving away an Olfa Splash 45mm Rotary Trimmer to one of you! I have a question…I just recently started quilting, and I wasn’t sure if I should be washing and drying the fabric first. What do you think? Thank you so much! I wish I had watched this before I sewed my first quilt. It ended up all kinds of crooked. It’s for my niece’s first birthday, and I don’t think she’ll care much anyway, but my next project will definitely need to be better quality. I need to get one of those wide rulers. I used a regular school ruler, and needless to say, that didn’t work very well. I learned a lot from your video. Thanks for taking the time to teach us some tricks. I see that the prior comments are 1 1/2 years old, so I’m hoping you are continuing your tutorials. I’d like to keep watching. OH MAN! This was SO helpful! Thank you! Why cutting fabric has been so complicated to me, I don’t know, so I’m really grateful!